Talk of environmental awareness has been floating around the world for many decades and has spawned eco-savvy buzzwords like “sustainability”. When you think about it, however, it’s hard to concretize these concepts into action. With shingle recycling, however, the home improvement industry as a whole is taking a very real step in the right direction. Peak Roofing Contractors takes a brief, quick look at what shingle recycling is all about and how it benefits you. Nothing lasts forever and the ultimate question to answer is: where does everything go? Made from one of the most recycled materials in America, asphalt shingles go everywhere—literally. 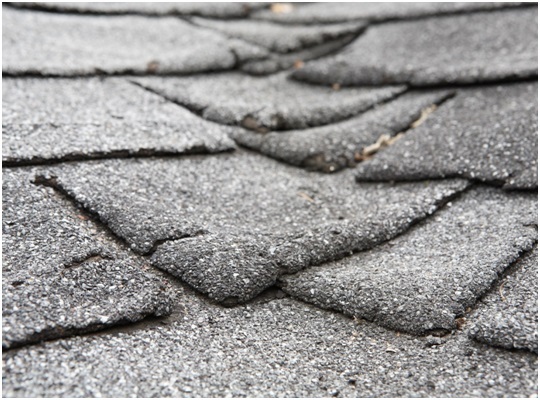 Much of the reclaimed asphalt shingle roofing in Manassas and elsewhere is broken down to its constituent parts and used to pave roads—or reconstituted into new asphalt shingles. It’s actually a beautifully self-sustained cycle where nothing is wasted, ensuring that resources are preserved and landfills are left empty. Apart from the obvious contribution you make towards saving the Earth, you also benefit from a more affordable price tag. After all, lower manufacturing costs equate to lower prices. That’s the great thing about asphalt shingles: they are sustainable without compromising on quality. This makes them the prefect replacement. Factor in the ease with which they are installed along with their customizability and you have a winning formula, especially for those in a rush or experiencing an emergency. It’s little wonder why the smartest roofing companies in Northern Virginia carry them. If you’re looking for an affordable roofing material that’s easy on the eyes yet contributes to the well-being of the planet, you really can’t go wrong with asphalt shingles. Give Peak Roofing Contractors a call and we’ll be more than happy to go into the details that you need to know. We’ll even provide you with a free estimate to get you started.